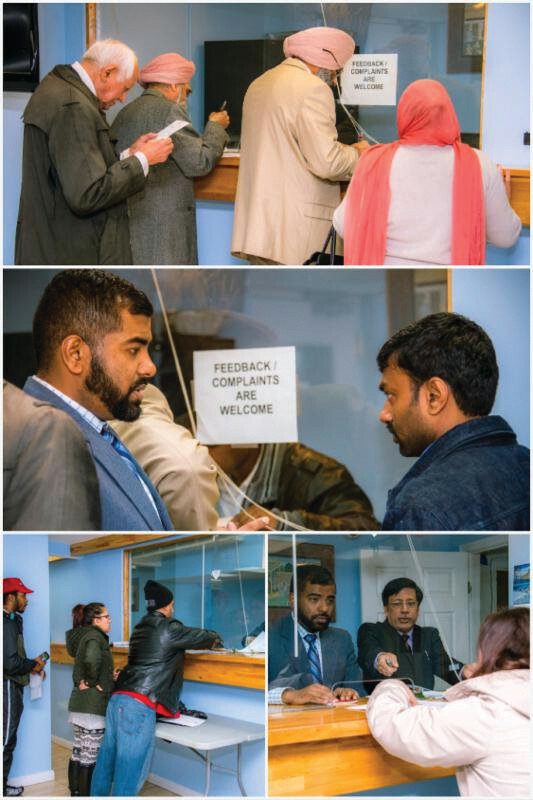 The Embassy of India, Washington D.C., held its first Consular Open House on Jan. 4 to address the grievances of the people on issues related to visas, passports and OCI cards. The open house is a part of the new initiatives recently announced by India’s Ambassador to the U.S., Navtej Sarna. Despite the short notice and bad weather conditions, several applicants turned up for the event with enthusiasm, an embassy press release said. Individual applicants’ issues were personally attended to by senior officers in Consular Wing. Apart from personal grievances, various general issues and queries raised by visitors were also responded to by the embassy officials.